The Hughes family and our onsite partners opened up “The Best Family Holiday Destination in Ireland” for absolutely free and asked visitors to dig deep for our charity partners, Western Care who are providing services for people with disabilities and autism across Mayo and Westport Children’s Choir who were fundraising to send 15 of their members to perform in Carnegie Hall. It was amazing family day out with free use all of the rides, slides, boats and trains of the Pirate Adventure Park, entry to the stunning historic Westport House and the zip wire ride, live music and entertainment – all for absolutely free. 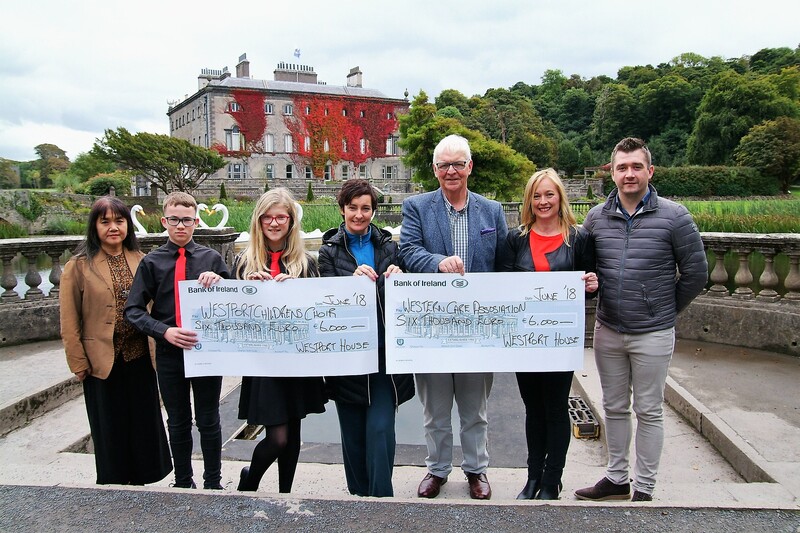 The Westport House Annual Open Day enjoyed a phenomenal turnout on June 10th which resulted in a collection of €12,000 in total which was split between both partners. Thanks to everyone who came out in support.